Desiderius Erasmus in 1523 as depicted by Hans Holbein the Younger. The Greek and Latin words on the book translate to “The Herculean Labors of Erasmus of Rotterdam”. This week we turn our attention to hBooks for Africa, A simple name for an organization with a simple mission. We collect, sort, ship, and distribute books to students of all ages in Africa. Our goal: to end the book famine in Africa. The charity is highly rated by Charity Navigator and other charity monitors and is worthy of your support. Indigenous tribes do not simply die out. They are killed by the actions of so-called civilized nations. Survival International provides a long list of cases in which a letter from you can and will make a difference. Please open this link and write at least one letter. This link will be a permanent feature on our blog and we would be grateful if you gave it a bit of attention each week. We suggest going down the list in the order given. The letters are pre-written for you. All you need to do is send them. It would be nice also if a donation to Survival International could be forthcoming. They are the best conservationists--help that fact go viral. A major calamity for indigenous people is land theft. Please help take a stand against this pernicious practice. We have added this section to the blog in order to join the struggle against slavery worldwide. This week we refer you to the the ILO’s Protocol on Forced Labor which is all about modern slavery. We call your attention to the anti slavery campaign. There you can sign up for action updates.The importance of checking your sellers’ supply chains cannot be overemphasized. Find a campaign to work for. Light must be made to shine in the darkest of places. We invite you to join Freedom United and Demand Dignity for Domestic Workers in Australia and everywhere. On 17 March, police and immigration officers arbitrarily detained 14 Venezuelan refugees (three women and 11 men) at a shelter in La Paz, Bolivia, who had participated in a peaceful demonstration at the Cuban Embassy against human rights violations in Venezuela on 15 March. Officers took them to an immigration office, interrogated them and accused them of “conspiracy” and “political activities in exchange for money”, violating their right to due process. That same day, six of them were arbitrarily deported to Peru, which was the entry point to Bolivia. The remaining eight, who had applied for asylum, were released but five subsequently fled to Peru fearing further persecution. Those released who remain in Bolivia currently fear persecution and arbitrary deportation. According to local organizations and witnesses, many were ill-treated and threatened by police officers. Urge the Minister of Government to stop persecuting and arbitrarily deporting Venezuelan refugees in need of international protection. Artur Severinchik was released from detention on 15 March by the Khanty-Mansiisk Regional Court’s decision of 7 March. Yevgeniy Fedin and Sergei Loginov, remain behind bars and face risk of torture and other ill-treatment. They are prisoners of conscience and should be released immediately and unconditionally. 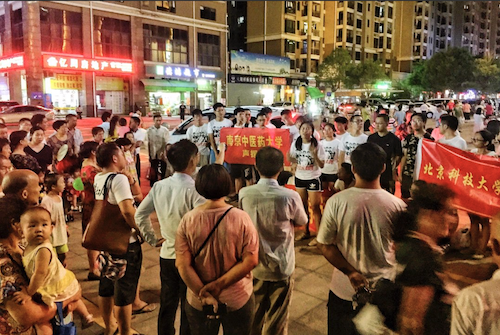 Immediately after human rights lawyer Jiang Tianyong was released from prison on 28 February 2019, he and his father and sister were taken away. While they have now been returned to his family home, he remains under tight surveillance and is being constantly followed, with no freedom to choose his employment. Having completed his two-year sentence for ‘inciting subversion’, Jiang Tianyong was a prisoner of conscience and should never have been detained for practicing his right to freedom of expression. 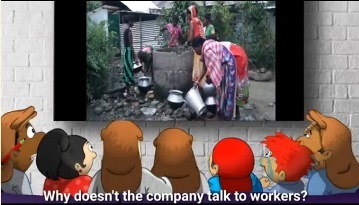 For the past two years workers, mainly women, on plantations in the Indian states of Assam and West Bengal which supply tea giant Tetley have been organizing to demand decent water and sanitation – a fundamental human right. Please read more and join the protest. This entry was posted in Arkeeblog, Human Rights on April 3, 2019 by arkee2013. This week we turn our attention to the Global Fund for Women. They fight for women’s rights everywhere. Global Fund for Women supports women-led groups who are demanding rights in their own communities. For Women’s History Month, use your voice to support courageous activists shaping our future. What are women’s human rights? Women’s rights are the fundamental human rights that were enshrined by the United Nations for every human being on the planet nearly 70 years ago. These rights include the right to live free from violence, slavery, and discrimination; to be educated; to own property; to vote; and to earn a fair and equal wage. As the now-famous saying goes, “women’s rights are human rights.” That is to say, women are entitled to all of these rights. Yet almost everywhere around the world, women and girls are still denied them, often simply because of their gender. Pleased donate to a charity well rated by Charity Navigator. We fight for tribal peoples’ survival. We stop loggers, miners, and oil companies from destroying tribal lands, lives and livelihoods across the globe. We lobby governments to recognise indigenous land rights. We document and expose the atrocities committed against tribal people and take direct action to stop them. Find a campaign to work for. Light must be made to shine in the darkest of places. We invite you to join Freedom United and ask some questions about the tea you drink. by human rights defender Vitalina Koval in Uzhgorod, western Ukraine, on 8 March was a success. Participants were well protected by the police and able to exercise their rights to freedom of expression and peaceful assembly safely. NO FURTHER ACTION IS REQUESTED. MANY THANKS TO ALL WHO SENT APPEALS. The International Women’s Day rally organized by Vitalina Koval, a defender of women’s rights and LGBTI rights, in the western Ukrainian city of Uzhgorod successfully took place on 8 March and was well protected by the police. This was a highly significant change, as Women’s day events organised by Vitalina Koval in 2017 and 2018 had been targeted by far-right groups and the police failed to protect participants. Vitalina Koval is still seeking justice for the attack she suffered during the 2018 event, when six members of a far-right group threw red paint at her and other participants, causing chemical burns on her eyes. There were reports that far-right groups were present in Uzhgorod on 8 March and they had openly stated their intention to disrupt the event. However, thanks to national and international pressure, including extensive campaigning by Amnesty International as part of and as a continuation to the global Write for Rights 2018 campaign, the authorities put in place the necessary measures and ensured safety of the 2019 rally. Emil Astrauko and Vasily Sauchanka are held in a juvenile prison in Belarus in conditions which violate their human rights and are subjected to harassment and discrimination by the prison authorities. Following flawed trials in 2018, they were sentenced to 10 years in prison each for minor drug offences. They were 17 years old at the time of their arrest. Their case is emblematic of thousands of teenagers imprisoned in appalling conditions following unfair trials for minor drug-related offenses. 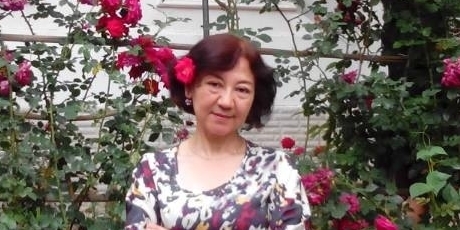 Hankezi Zikeli is detained in a “transformation-through-education” centre in Urumqi, Xinjiang Uighur Autonomous Region (XUAR) and is believed to have suffered a nervous breakdown. An aunt of Gulchehra Hoja, a Washington based journalist, Hankezi Zikeli is one of 25 relatives who have been detained since January 2018. Without any access to a lawyer, there are grave fears that they are at risk of torture or other ill-treatment. End child marriage in Massachusetts. Did you know children can legally marry in Massachusetts? In fact, with parental consent and a judge’s approval there is NO minimum age to marry. Between 2000 to 2016, more than 1,200 children under age 18 were married in Massachusetts. Almost all were girls marrying adult men. Child marriage can easily be forced or coerced by parents. 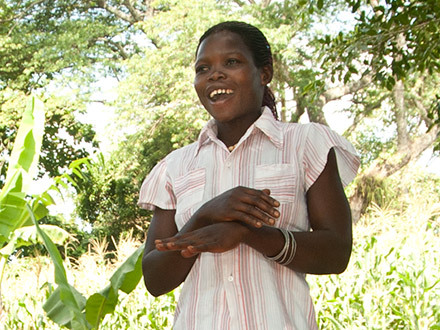 Research on the impacts of child marriage shows it is deeply harmful putting girls at risk of negative health problems, interrupted education, poverty, and domestic violence. This entry was posted in Arkeeblog, Human Rights on March 27, 2019 by arkee2013. At the request of Reporters Without Borders (RSF), the Eiffel Tower’s lights were turned off for a minute at 6:30 p.m. today on the eve of the International Day to End Impunity for Crimes Against Journalists to pay tribute to Saudi newspaper columnist Jamal Khashoggi and all the other journalists in the world whose murders have so far gone unpunished. Dams on the Amazon can destroy indigenous tribes. Your support can help us fight for the most vulnerable people on the planet. Find a campaign to work for. Light must be made to shine in the darkest of places. We invite you to join Freedom United and raise your voice against trafficking in children at bogus orphanages. 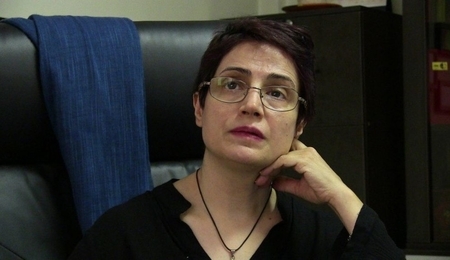 Prominent Iranian human rights lawyer Nasrin Sotoudeh has been sentenced to 38 years in prison and 148 lashes after two grossly unfair trials. The charges against her stem solely from her peaceful human rights work, including defending women’s rights and her outspoken opposition to the death penalty. On 19 February 2019, a judge ordered the conditional release of Egyptian activist Islam Khalil. On 25 February, the police moved Islam to al-Santa police station to complete his release procedures, but instead of releasing him the authorities held him incommunicado. On 10 March 2018, Islam was forcibly disappeared after National Security Agency officers had abducted him. He remained in arbitrary detention for almost a year facing the trumped-up charges of “membership in an illegal group” and “disseminating false information.” His family believes that Islam is at serious risk of torture and other ill-treatment while in incommunicado detention. Activist Rashid Mahiya and Members of Parliament with the opposition, Joanna Mamombe and Charlton Hwende were arrested on different dates in Zimbabwe. All three have been charged with ‘subverting a constitutional government’ which attracts a sentence of more than 20 years in prison. This charge is in connection with a three-day national shutdown called for on 14-16 January in protest against a hike in fuel prices. In partnership with the Hong Kong Confederation of Trade Unions, the only independent and democratic trade union federation on Chinese soil, and Globalization Monitor, a Hong Kong-based NGO that monitors the adverse effects of capitalist globalization on workers and the environment. Please click and join the protest. This entry was posted in Arkeeblog, Human Rights on March 21, 2019 by arkee2013. This week we turn our attention to Women of the Wall who were severely abused by orthodox people at the Western Wall in Jerusalem and were abandoned by police who chose not to protect them. The link connects you to the charity monitor Israel Gives through which you can donate to them. Their mission statement says in part: ” As Women of the Wall, our central mission is to attain social and legal recognition of our right, as women, to wear prayer shawls , pray, and read from the Torah, collectively and aloud, at the Western Wall. We work to further our mission through social advocacy, education and empowerment”. Find a campaign to work for. Light must be made to shine in the darkest of places. We invite you to join Freedom United and lend your voice to the call to stop loans to Uzebekhistan as long as forced labor is used in the cotton fields. On 28 February 2019, Palestinian lawmaker and prominent political figure Khalida Jarrar was released from HaSharon prison in central Israel, after spending 606 days in detention without charge or trial. On 2 July 2017, Khalida Jarrar was arrested from her home in Ramallah in the occupied West Bank. The Israeli military commander of the West Bank issued a six-month administrative detention order against her on 12 July 2017, and since then the order has been renewed three times, on 31 December 2017, 17 June, and 25 October 2018. Although six months is the maximum period of detention for each administrative detention order, each order can be renewed indefinitely under Israeli military law. Khalida Jarrar, is a Palestinian parliamentarian and outspoken critic of the Israeli occupation of Palestinian territories as well as the security cooperation between the Palestinian and Israeli forces. For decades, Khalida Jarrar has been harassed and intimidated by the Israeli authorities for her political and human rights engagement. Israel has banned her from travelling outside the country since 1998. Opposition leader Sharofiddin Gadoev returned safely to the Netherlands on 2 March. He had been held by the Tajik authorities following his arbitrary arrest in Moscow on 14 February and forcible return to Tajikistan. On 2 March Sharofiddin Gadoev was transferred without identification documents from Dushanbe, Tajikistan’s capital, to Frankfurt, Germany, and returned safely to the Netherlands the same day. He is the leader of Group 24, an opposition political movement banned in Tajikistan, who legally resides in the Netherlands. Sharofiddin Gadoev was arbitrarily detained on 14 February by the authorities in Moscow, during a trip to meet representatives of the Russian Security Council. On 15 February, he reappeared in Dushanbe, and on 20 February he was transferred to an undisclosed place by officers from the Tajik Interior Ministry and special forces. The Tajik authorities did not disclose his whereabouts or lay official criminal or administrative charges against the activist. Prior to his trip to Russia Sharofiddin Gadoev recorded a precautionary video stating he had no intention of returning to Tajikistan, where he is at risk of torture and other ill-treatment and unfair prosecution. After his forcible return to Dushanbe photos were published falsely claiming that Sharofiddin Gadoev was visiting friends and family in Tajikistan. Sharofiddin Gadoev, a is believed to have been released following interventions from international human rights organisations and European governments. Abdirahman Ibrahim Adan, a poet in Somaliland, was released on 25 February. He had been arrested and detained on 12 January after reciting a poem the previous day in which he called on the Somaliland government to reform its prisons and criminal justice system. Abdirahman Ibrahim Adan alias Abdirahman Abees, a poet in Somaliland, was released on 25 February. This was after the Hargeisa Regional Court acquitted him of the charge of ‘insulting the state’. He was arrested in Hargeisa on 12 January in connection with a poem he had recited on 11 January at the Mansoor Hotel in Hargeisa. In the poem, he highlighted human rights violations people in Somaliland face including police brutality, arbitrary detention and the degrading treatment of prisoners. The poem also called on the Somaliland government to reform its prisons and the criminal justice system. Osman Kavala (pictured above), Yiğit Aksakoğlu and 14 other prominent civil society figures are facing life in prison after a court accepted an indictment against them on 4 March. They are wrongly accused of ‘attempting to overthrow the government or prevent it from performing its duties’ for their alleged role in ‘directing’ the Gezi Park protests of 2013. Osman Kavala has already been remanded in pre-trial detention for over 16 months and Yiğit Aksakoğlu for almost four months. The rest of the accused are currently free pending trial. The Turkish authorities must immediately and unconditionally release Osman Kavala and Yiğit Aksakoğlu and drop the trumped-up charges against all 16. Prisoner of conscience Huỳnh Trương Ca is being held in conditions of detention that further violates his rights. He shares a small, unlit cell with four other prisoners and cannot leave the cell, not even for meal times. The only time he leaves the cell is once a month for family visits. He also suffers several illnesses, yet the prison authorities refuse to provide him with the medical treatment he requires. The Ministry of Public Security plans to move him to another facility far away from his hometown. 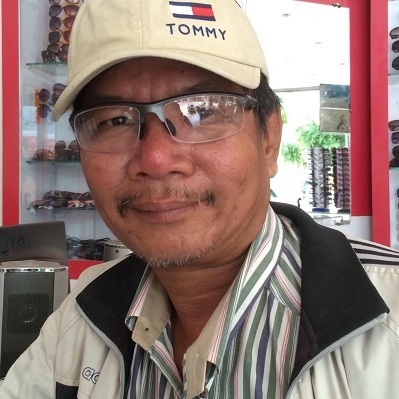 We call on the Vietnamese government and its Ministry of Public Security to release Huỳnh Trương Ca immediately and unconditionally. The Ysati Indigenous community in the district of Itakyry (department of Alto Paraná, southeast Paraguay) had their crops and six houses burned down and 55 people, of which 38 children, were displaced because of the violence. Community members are afraid that new attacks could take place and they are forced to flee. We urge the Attorney General to launch an immediate investigation on the attacks against the Ysati Indigenous community and to bring those responsible to justice. Human rights abuses are accumulating at The Coca-Cola Company. That makes Coke a serial offender when it comes to failing to respect the human rights of workers and acting to remedy abuses. The right of all workers to form, join and be represented by a union for collective bargaining is an internationally recognized fundamental human right. Please click and join the Zero Rights protest. This entry was posted in Arkeeblog, Human Rights on March 13, 2019 by arkee2013. the This week we turn our attention to the Helen Keller International. The mission is to prevent blindness where possible. Our mission is to save and improve the sight and lives of the world’s vulnerable. They have high ratings from Charity Watch and Give Well. Helen Keller International (HKI) is proud to announce that we have been rated a “top charity” by GiveWell for the second year in a row for our vitamin A supplementation program. A major calamity for indigenous people is racism. Find a campaign to work for. Light must be made to shine in the darkest of places. We invite you to join Freedom United and ask who picked my tea? On 15 February Russian law enforcement officials carried out raids on homes of Jehovah’s Witnesses in the city of Surgut and arrested at least 40 people. There are credible allegations of torture and other ill-treatment in custody. Sergei Loginov, Artur Severinchik and Yevgeniy Fedin remain remanded in custody and are at serious risk of torture and other ill-treatment. They are prisoners of conscience, detained solely in connection with their religious beliefs, and must be released immediately and unconditionally. Sharofiddin Gadoev is believed to be held by the Tajik authorities following his arbitrary arrest in Moscow on 14 February and forcible return to Tajikistan. He is a member of Tajikistan’s opposition National Alliance coalition and Group 24, an opposition political movement banned in Tajikistan. Sharofiddin Gadoev is at risk of torture and other ill-treatment. Samir Flores Soberanes, environmental, land and territory human rights defender, was shot dead on 20 February, after receiving several death threats for his work defending the territory of his community. Samir was a member of a grassroots collective for environmental and the territorial protection called Front of Peoples in Defense of the Earth and Agua in the states of Morelos, Puebla and Tlaxcala (southeast Mexico). He was also vocal against the geothermic project called “Proyecto Integral Morelos” and had received written death threats and was beaten by an unknown group in October 2018. Myanmar hotel workers are fighting for their rights! 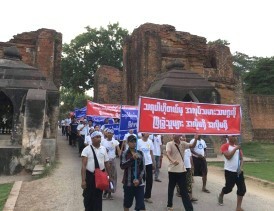 In 2015, after a majority of workers at the Hotel Tharabar Gate in the heart of the country’s famous Bagan Archeological Zone formed their union, management attempted to dismiss elected union chairman Ko Nay Myo Win. Hotel staff including non-union members protested, and management relented. The union then joined together with other local hotel unions (including the union at the Bagan Hotel River View) to form the area-wide union organization HLOB, which elected him chairman. Please click and support their struggle. This entry was posted in Arkeeblog, Human Rights on March 6, 2019 by arkee2013. Our featured image shows our beloved Miriam, a great friend and human rights defender. A major calamity for indigenous people is enforced contact which can be deadly. Please act for people on the Peruvian contact border. Find a campaign to work for. Light must be made to shine in the darkest of places. We invite you to join Freedom United and lend your voice to the call to stop robbery of migrant workers in Malaysia. Armed men abducted Mexican Indigenous human rights defenders, Obtilia Eugenio Manuel (pictured above) and Hilario Cornelio Castro on 12 February 2019. Their captors released them on 16 February amidst an increasing national and international outcry over their disappearance. They continue doing their human rights work and continue at risk, while their attackers are at large. Both HRDs are members of the Organization of Indigenous Mepha’a People (OPIM, Organización del Pueblo Indígena Mepha’a). Obtilia Eugenio is also an elected member of the Indigenous Municipal Council of Ayutla de los Libres, Guerrero state, in southern Mexico. The authorities must implement protection measures on their behalf, investigate the attack they suffered, and bring those responsible to justice. Taiwanese activist Lee Ming-che has been given rotten food and insufficient clothing in his freezing prison cell. As a result of exposing these prison conditions, his wife is not allowed to visit him again until 22 April 2019. Sentenced in 2017 to five years’ imprisonment for “subverting state power”, Lee Ming-che is a prisoner of conscience and should be immediately and unconditionally released. 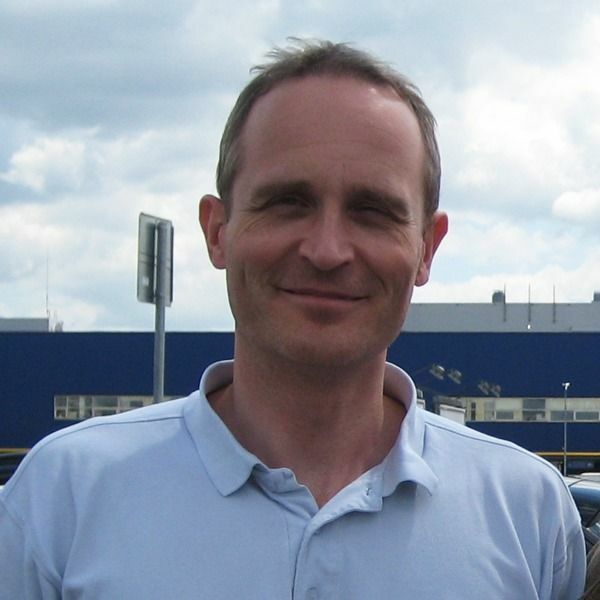 Danish national and Jehovah’s Witness Dennis Christensen was found guilty on 6 February of “organizing activities of an extremist organization” and sentenced to six years imprisonment by a court in Orel, western Russia. He is a prisoner of conscience imprisoned solely for peacefully exercising his right to freedom of religion. He must be immediately and unconditionally released, and his conviction must be quashed. New labor law must recognize workers’ rights. 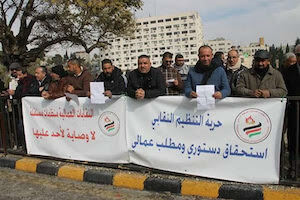 The Jordanian government needs to hear from workers globally that it must ensure its laws comply with ILO fundamental lab our rights, including freedom of association, not make them worse. Please join the protest. For 374 days, workers and their union at AB InBev Sonepat plant have been fighting union-busting and local management’s ongoing refusal to reinstate unfairly terminated union leaders, and they continue to fight for their rights. Please help the union in its struggle against Budweiser. This entry was posted in Arkeeblog, Human Rights on February 27, 2019 by arkee2013. This week we turn our attention to Physicians for Human Rights Israel. A most worthy cause. A major calamity for indigenous people is enforced contact which can be deadly. Please help to protect them. *We have great news for you! Thai authorities have finally dropped extradition charges against refugee footballer Hakeem al-Araibi. He will now be able to return to his family and friends in Australia. This is a triumph for human rights activism. Thank you for all your support throughout the campaign! For the history of the case, click here. Soro Tangboho, alias Carton noir, an outspoken online activist, was arbitrarily arrested on 8 November 2018 in the town of Korhogo (the north of the country). He was detained and subjected to torture and other ill-treatment while live streaming a video on Facebook showing police officers who were, according to him, extorting money from motorists. He has been accused of disrupting public order. Soro Tangboho is currently hospitalized at the MACA prison clinic. Guatemala’s Congress could imminently pass a law that would grant an amnesty to those suspected or found guilty of crimes such as genocide, torture, and enforced disappearances during the internal armed conflict (1960-1996). The bill could lead to the release of those found guilty within 24 hours of its approval. It would also lead to the suspension of ongoing investigations into these crimes. Guatemala’s Congress must refrain from passing this bill to respect the rights of victims to justice, truth and reparation. 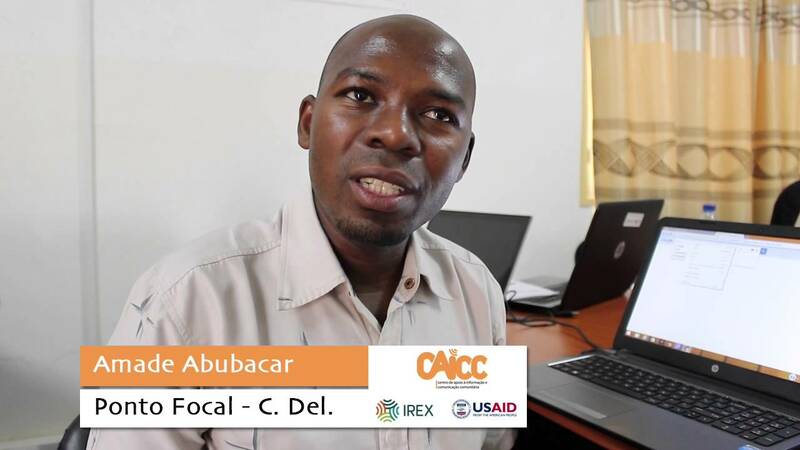 Journalist Amade Abubacar was transferred from the Macomia district prison to Mieze prison in Pemba district, the capital of Cabo Delgado province on 24 January. Since then prison authorities have denied him family visits. He was allowed one supervised visit with members of a Commission of the Mozambican Bar Association and his lawyer on 25 January where he alleged that he had been subjected to ill-treatment while in military detention. This entry was posted in Arkeeblog, Human Rights on February 13, 2019 by arkee2013.